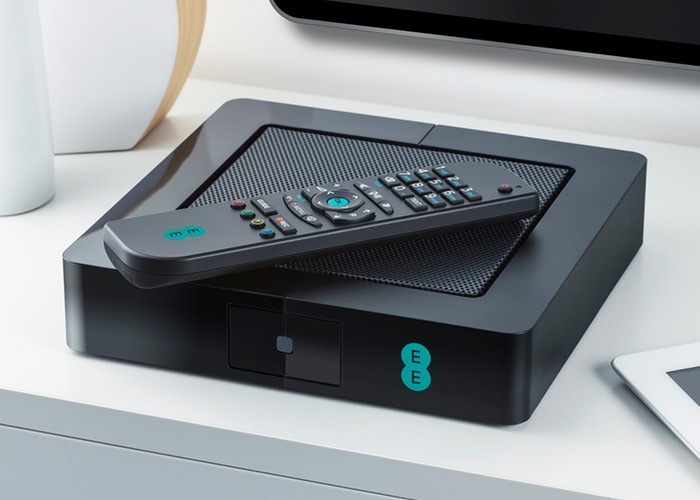 After launching the new EE TV service at the beginning of November 2014 throughout the UK, and making it available for free for new and existing EE mobile customers that purchase a broadband plan starting from £9.95 or above per month. EE has today announced that their new EE TV hardware has received a few new applications for users to enjoy and now supports applications for Deezer, Dailymotion, Euronews, Hopster and Cloudio TV. Joining the like of BBC iPlayer, BBC Sport and BBC News apps, and from today support for the BBC Connected Red Button services. For those of you that are not familiar with the BBC Connected Red Button services. Its a new service from the BBC that brings TV, online and BBC iPlayer together in the simplest way possible for use on the living room TV. The BBC explains that the Connected Red Button offers a world of extra programmes and features without having to leave the programme you’re watching. Its also powered by the Internet which allows for much greater capacity in comparison to the older red button service that uses linear broadcast technology and has a limited capacity. For more information on the new BBC Connected Red Button services jump over to the official BBC website for details and everything you need to know.